THE LATEST ENGLISH PREMIER LEAGUE NEWS – Chelsea owner Roman Abramovich is willing to make the move for Atletico Madrid striker Radamel Falcao, after stressing that he lost hope on current first-choice striker Fernando Torres. Chelsea aim to win w1th ease in both England and Europe this season, although critics note Torres as the lagging force of the side. Abramovich and the rest at the club see Falcao as the best option they could go for. 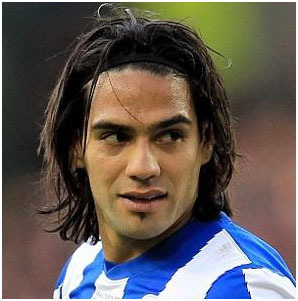 Falcao, one of La Liga’s highly rated strikers, has already scored 10 goals in 11 games for Atletico Madrid – who are second on the league table.